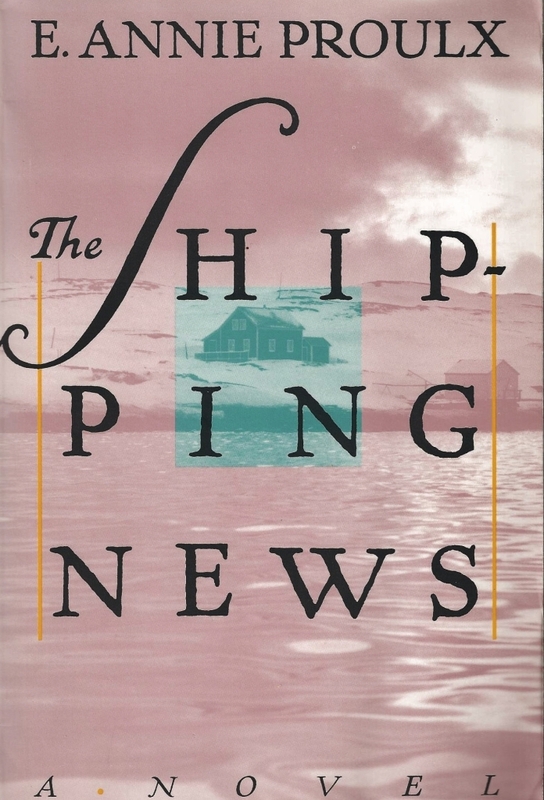 The Shipping News by E. Annie Proulx ~ 1993. This edition: Scribners, 1993. Softcover. ISBN: 0-684-19337-X. 337 pages. I’ve finally completely read this Newfoundland-set bestseller, after being defeated only a few chapters in on several previous tries. What can I say, except that it does get better if one can persevere through the dismal beginning bits, and stumble through the author’s choppy prose until – glory be! – like miraculously deciphering key elements of a foreign language, everything starts to make sudden sense. Once the cipher was broken, I never looked back, and I ended up rather enjoying this slow-moving tale of the dismal misfit Quoyle and his return to his ancestral Newfoundland roots after the exceedingly well-deserved demise of his sociopathic wife. Though much of the novel is pure invention – and a good thing too, or there would be no Newfoundlanders left living on The Rock – they’d all be incarcerated for deviant sexual practices, or horribly perished in collisions with the ubiquitous imported moose, or pukingly dead of alcohol poisoning, or, barring all else, simply drowned at sea while a-seeking the vanishing codfish – Proulx catches the distinctive cadence of the regional dialect brilliantly, and her dialogue passages are an absolute joy. Quite a mix, this one, of the ridiculous, the sublime, and, on occasion as with all of the details of widespread incestuous child abuse, the just plain distasteful. 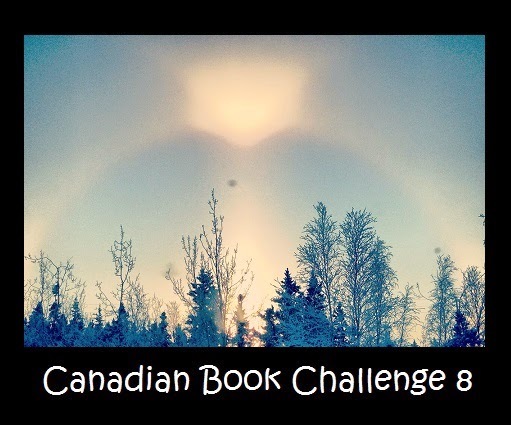 Proulx borrows enthusiastically from fact, but never forgets that she is writing fiction, which the reader should also keep in mind throughout. The internet abounds with reviews and book club discussions and author interviews, so if you’re curious about more detail, go to it. I’ll personally give it an “okay” recommendation, and add that I am quite open to reading some more by this writer, but that I’m not in a terrible rush. Never a Dull Moment by Peggy Holmes ~ 1984. Co-authored by Andrea Spalding. This edition: Collins, 1984. Foreword by Peter Loughheed. Hardcover. ISBN: 0-00-217277-1. 188 pages. Peggy Holmes came to Canada after the Great War as an English war bride, settling on a small northern Alberta homestead with her husband Harry, and trying to make a go of farming under dismal conditions. 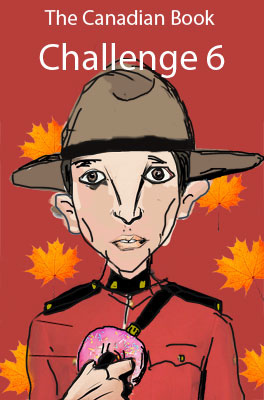 The couple eventually gave up the farming dream and moved to Edmonton, where Harry became a law court transcriptionist, and Peggy raised her cherished young son, cared for her ailing father, and pursued various jobs in order to earn some extra money in order to keep the household afloat. This is a lively recounting of Peggy’s long life in the heart of Edmonton. It was written, with the help of computer-literate friend Andrea Spalding, in 1984, when Peggy Holmes was 86. She was inspired to try her hand at memoir after taking a creative writing course, which led to her publishing a first volume of homestead memoirs, It Could Have Been Worse, and working as a highly regarded CBC regional radio broadcaster. As “good old days” memoirs go, well done and very appealing and readable, though probably of greatest interest to those who are familiar to some degree with the Alberta setting and Edmonton local history. There are many local references. There was a lot of personal tragedy in Peggy Holmes’ life, including several traumatic miscarriages, the loss of twin newborn girls through a doctor’s incompetence, and her elderly father’s death by suicide, but the tone throughout is pragmatically positive. 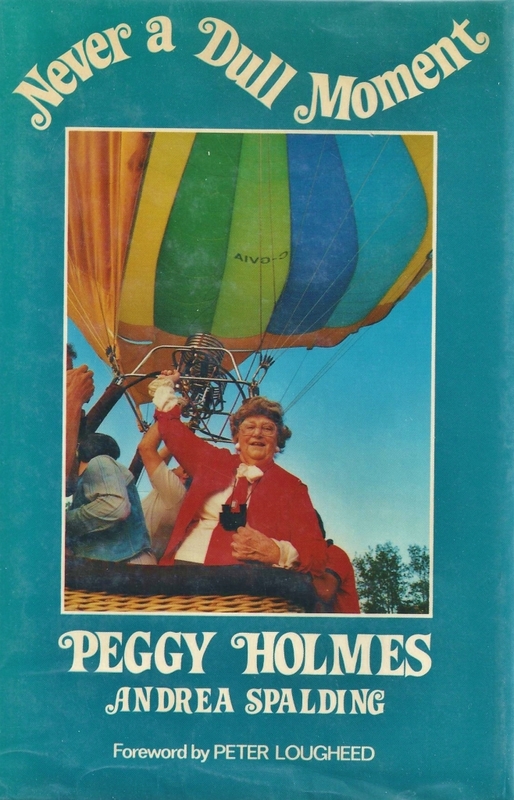 Peggy Holmes must have been a very interesting lady, and she was certainly an interested one, always up for new experiences, such as the pictured hot air balloon ride when she was 85 years old. Peggy Holmes wrote three memoirs in total, and I would be pleased to come across the two I don’t have, though I doubt that I will go to extraordinary effort to acquire them. Peggy Holmes died in Edmonton in 1997, shortly before her one hundredth birthday. Repent at Leisure by Joan Walker ~ 1957. This edition: The Ryerson Press, 1957. Hardcover. 284 pages. Joan Walker was another English war bride, of a later vintage than Peggy Holmes, coming to Canada in 1946. 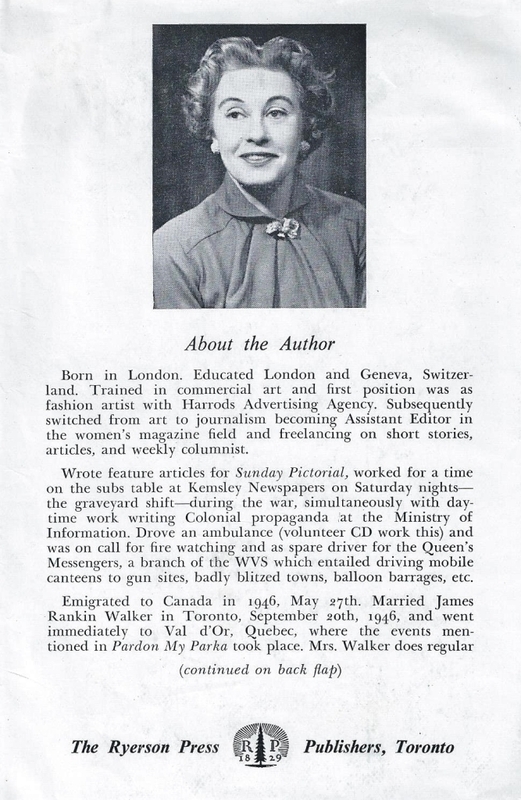 Walker had a background in various sorts of writing, and penned a well-received humorous memoir of her entry in Canadian life, with the Stephen Leacock Award-winning Pardon My Parka in 1953. 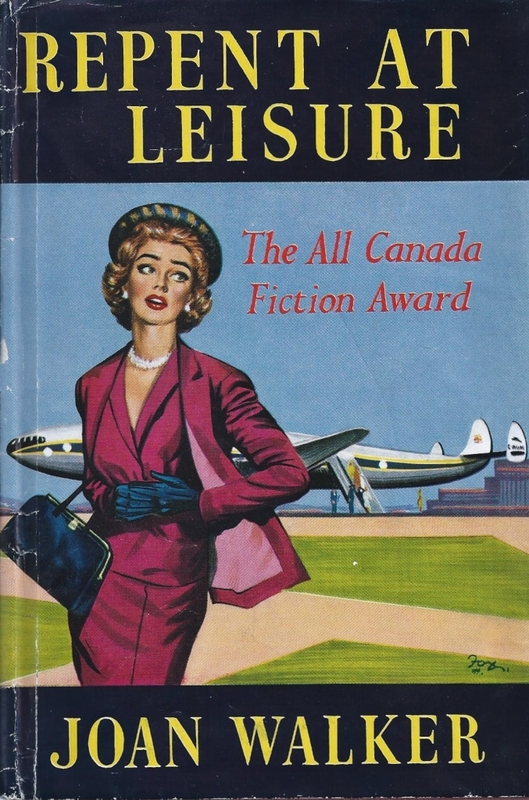 Repent at Leisure was Joan Walker’s attempt at writing a “serious” novel, and it is based on her war-bride, culture-shock observances, though it is fictional in its plotting, and not based on her personal marital tale. Repent at Leisure is acceptably diverting, and I will be definitely be re-reading it in future. The novel fits well into the “middlebrow women’s fiction” genre of its day, though I wouldn’t go so far as to enthusiastically recommend it. 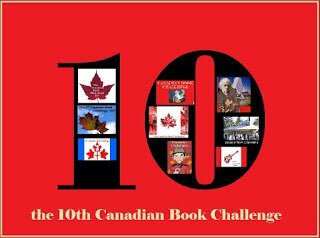 It was distributed in England as well as in Canada, and seems to have been critically well received, receiving the All Canada Fiction Award in its year of publication. Walker did publish one more full-length book in 1962, a fictional depiction of the life of Richard Sheridan, Marriage of Harlequin. I can find no mention of further full-length works, though Joan Walker apparently continued writing essays and articles for various publications into the 1960s and 70s. From the front cover illustration I had expected something fairly light-hearted, but the author’s intent seems to have been to write something more serious and dramatic; I can only assume that the cover artist was inspired by the comedic reputation of Pardon My Parka when tackling this new project. Here are scans of the back cover and flyleaf blurbs from Repent at Leisure, for those of you who are curious about the writer and her work from my brief description. There are a few copies of this novel on ABE, quite reasonably priced, but, as I’ve already mentioned, I don’t feel it quite worthy of a “must read” recommendation, though there is nothing really wrong with it, either. 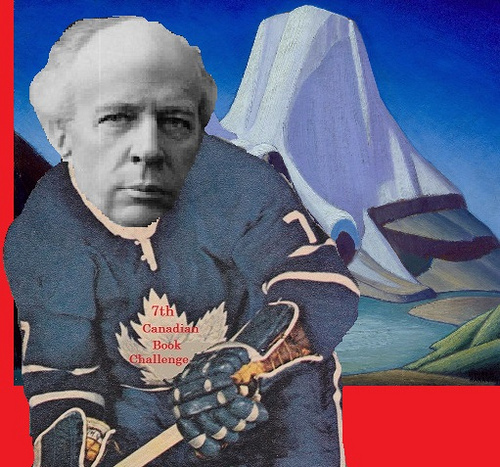 More of a average-ish period curiosity than a hidden Canadian classic, is my honest opinion.